It was another affordable device from the Chinese company – Redmi 5 Plus specs- announced on 7TH of December 2017, with release expected to follow soon as from 12TH. 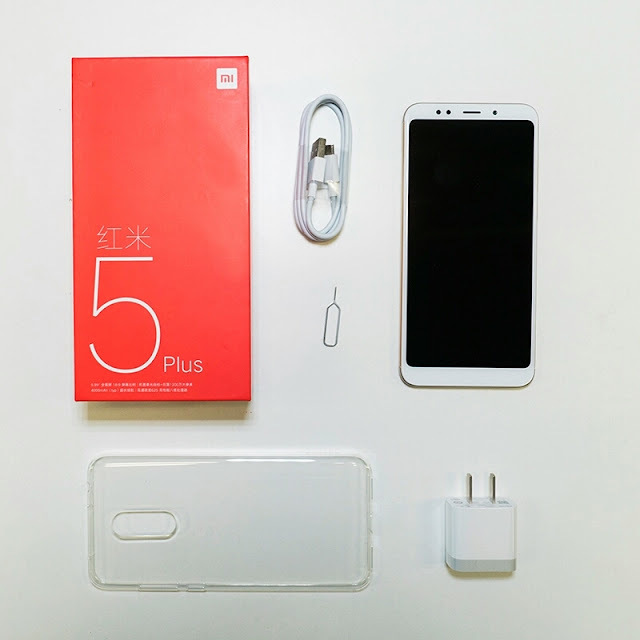 The device featured some enticing specs which among the Redmi 5 Plus specs are, 5.99-inch display, Snapdragon 625, 3/4GB RAM & 32/64GB ROM, fingerprint, 13MP + 5MP cameras, 4000mAh battery, LTE. Featured 5.99-inch display of 1080 x 2160p resolution, with 18:9 aspect ratio panel display. The display comes with 403PPI which will deliver vivid and colorful details. Under the Corning Gorilla Glass, which is scratch resistance, the 77.4% screen to body ratio display will enhance the user viewing experience with amazing and colorful details. Powered by power efficient snapdragon 625 octa core chipset, clocked at 2.0GHz to deliver fast and steady performance. Coupled with 3/4GB RAM, plus Adreno 506 GPU, your in for a treat. The device will be running Android 7.1.2 Nougat out of box, but we expect and update to Android Oreo soon. Comes with 32/64GB internal memory storage, with support for expansion using microSD card. The device has a dual hybrid slot, which means that if you decide to use SD card, you will be doing so in expense of Sim 2 slot. It has expansion space up to 128GB. For Redmi 5 Plus is not all about camera, considering the fact is a mid – ranger. But you still get quality shots with the 12MP rear shooter which features f/2.2, 1.25 μm, phase detection autofocus, dual LED dual tone flash, geo-tagging, touch focus, wide angle, face and smile detection, HDR. The front selfie shooter has 5MP senor with it own self is spotlight. The Redmi 5 Plus comes with a dual hybrid Sim and dual standby, you can decided to use two Sim or one Sim and MicroSD card. Smartphone security is fast becoming top priority for smartphone makers, which has also been recording advancements. For Redmi 5 Plus, it comes with a rear identification scanner, which guarantees maximum security to all your files. You can also make use of the scanner when taking selfies and pausing/resuming your media. Considering the massive screen, the unit has been equipped with non-removable 4000mAh li-po battery. It will be supporting 5V2A fast charging, expected to give you fully charged battery in maximum of 120minutes.